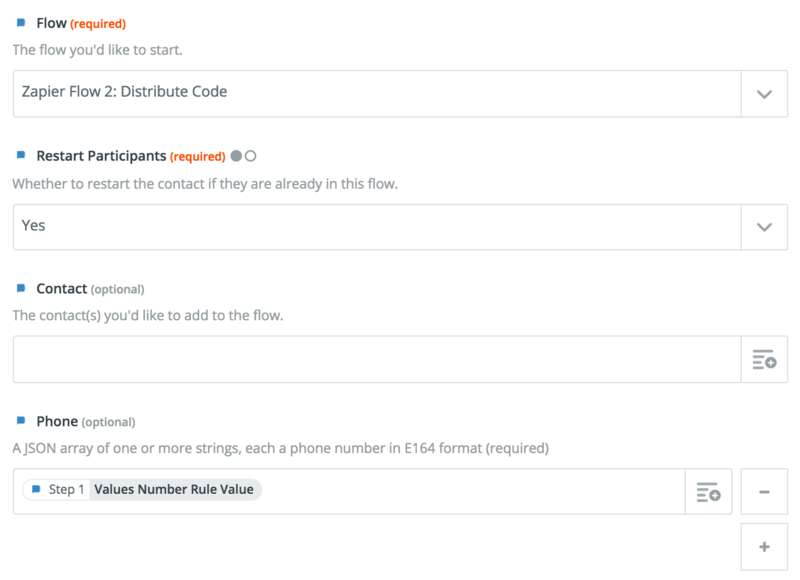 Use this guide to learn how to send information collected by your flows to one the 500+ apps available on Zapier. 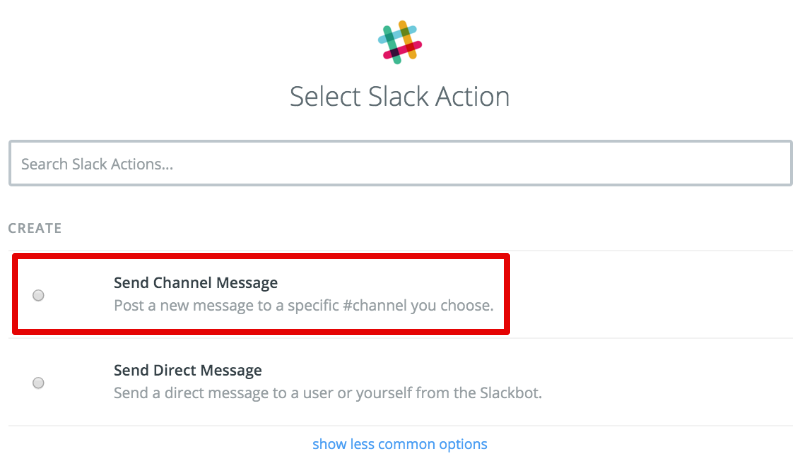 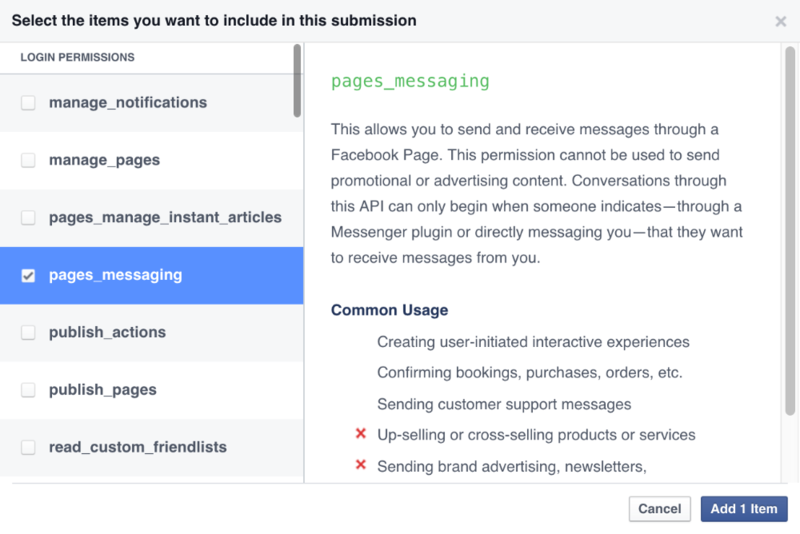 Specifically, this guide will show you how to post information collected by a flow to a Slack channel. 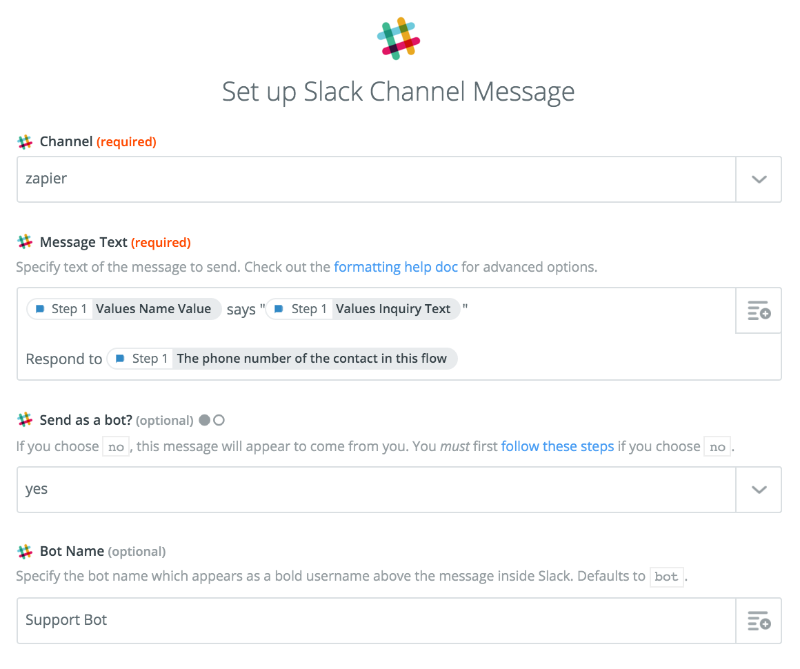 Slack is a platform for team communication: everything in one place, instantly searchable, available wherever you go. 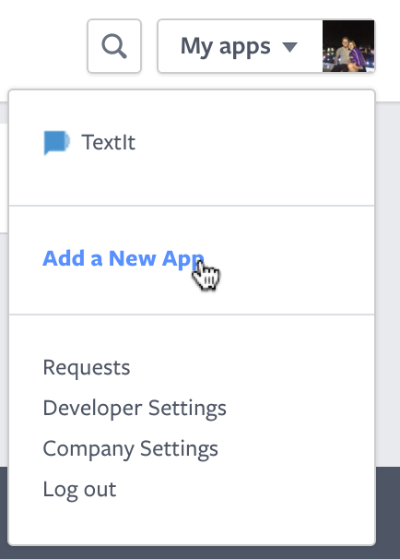 Offering instant messaging, document sharing and knowledge search for modern teams. 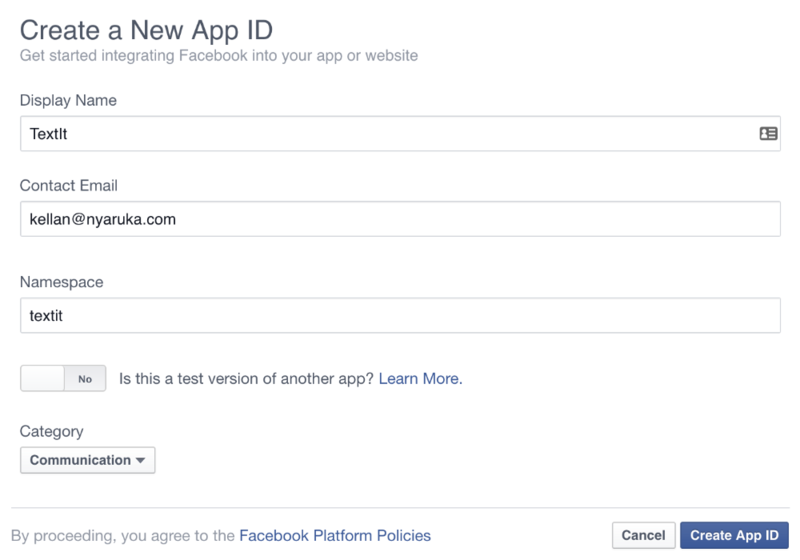 Don't have an invite link? 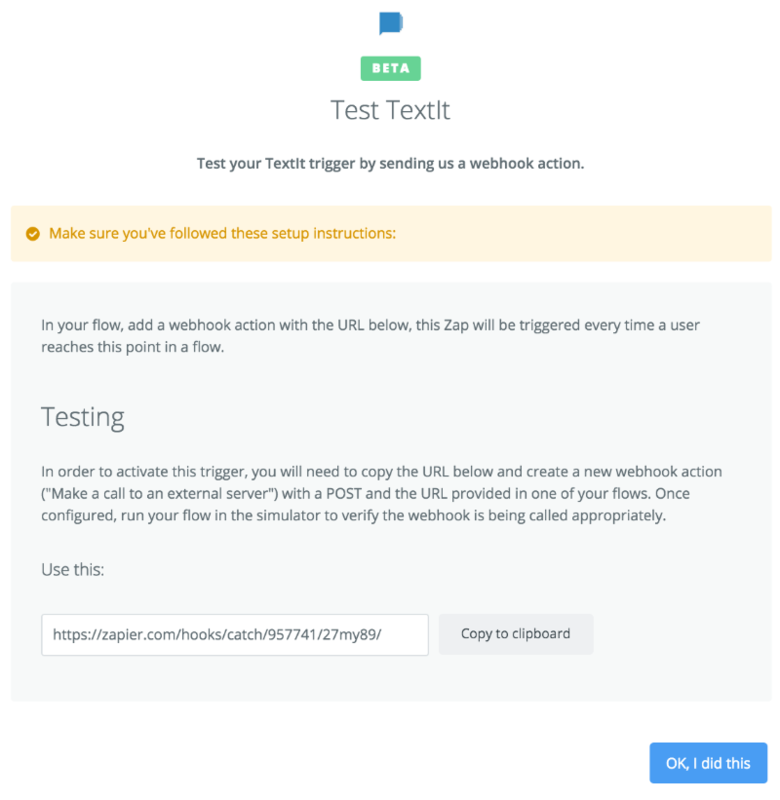 Click here. 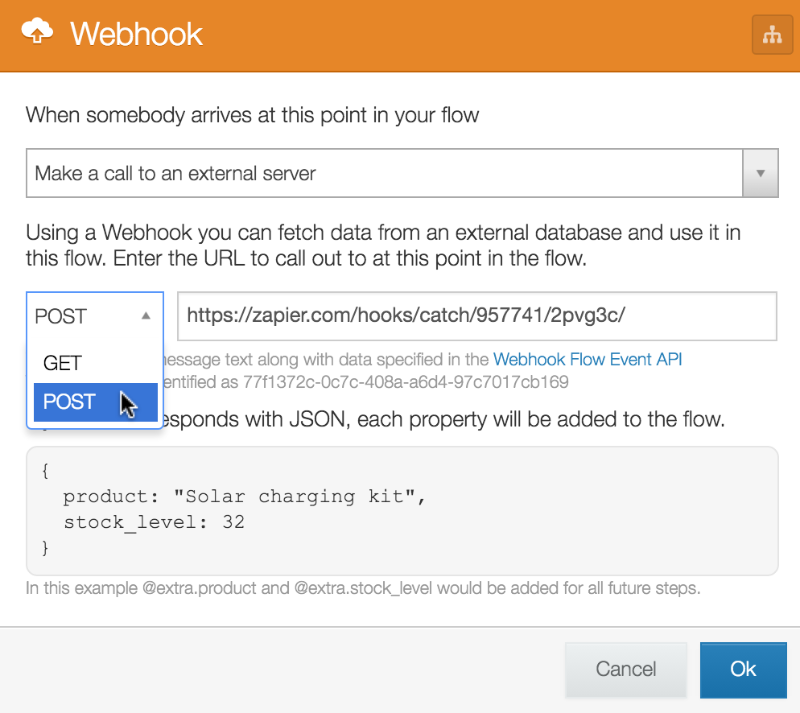 A contact reaches a Webhook action in a flow. 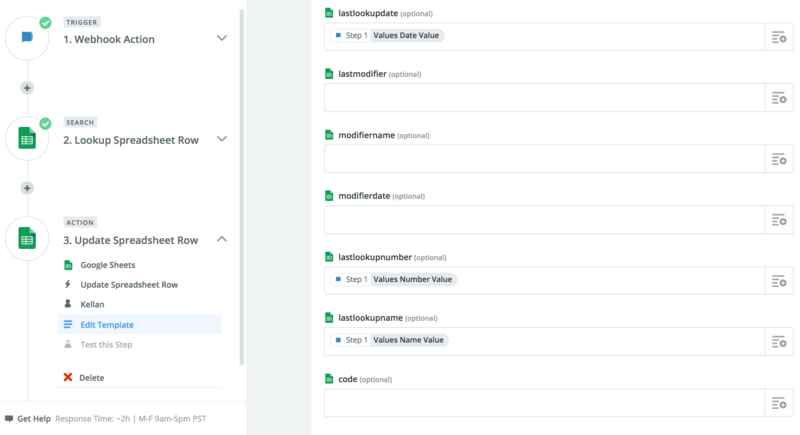 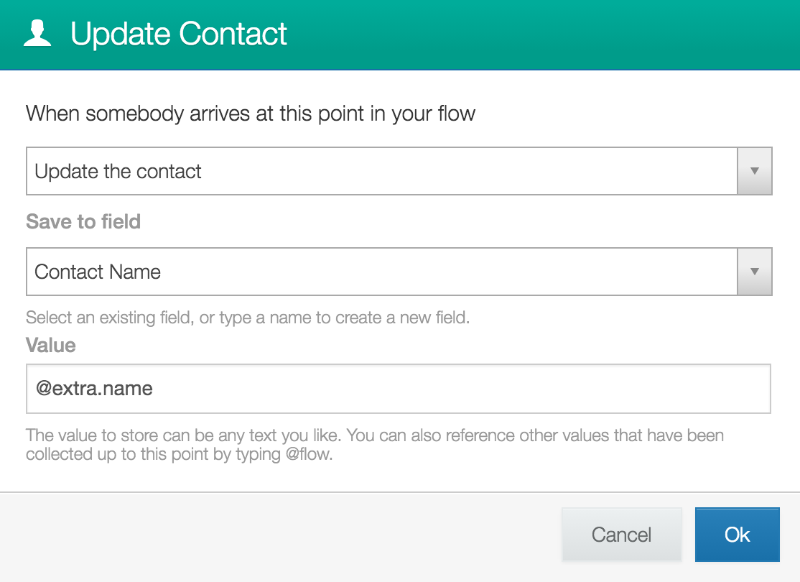 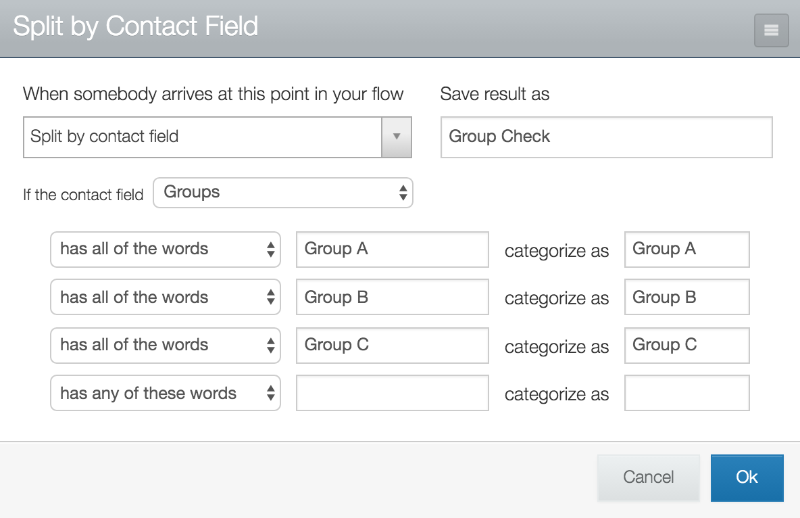 The fields created by the flow are sent to Zapier. 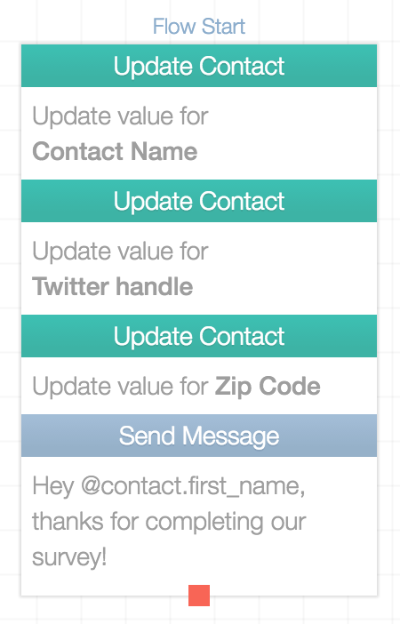 These include your contact's phone number and responses to your questions. 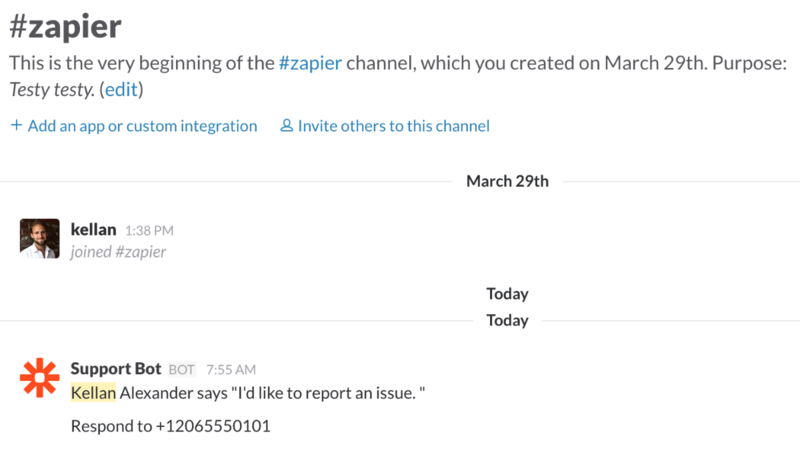 Zapier posts the information you choose to a Slack channel. 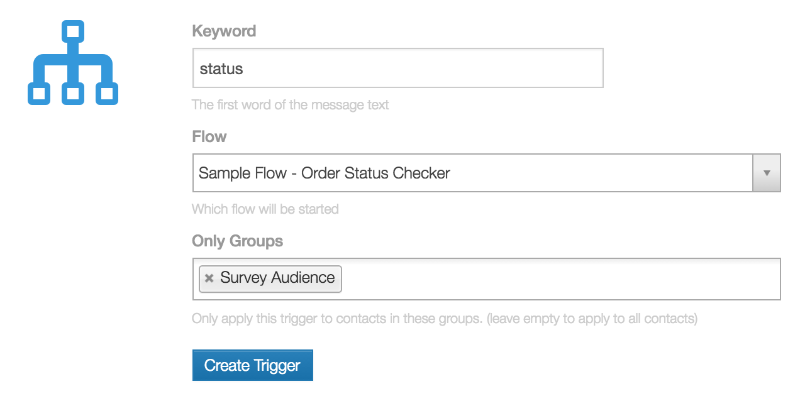 Selecting the channel to which you'd like the message to be posted. 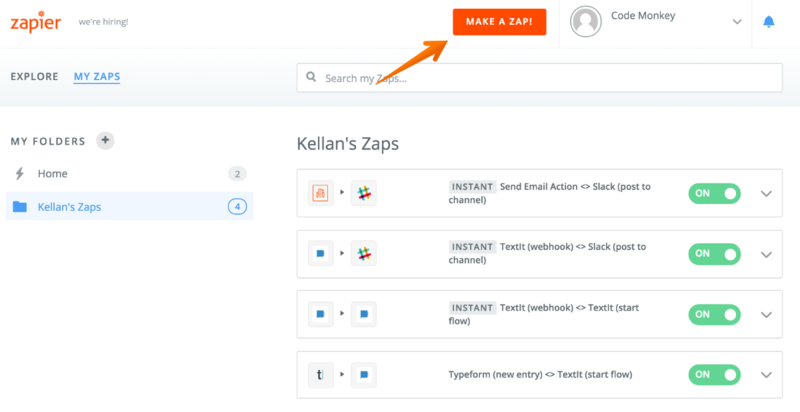 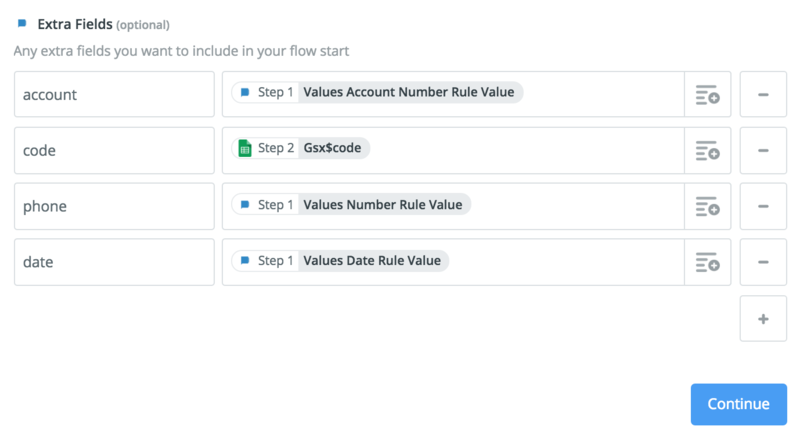 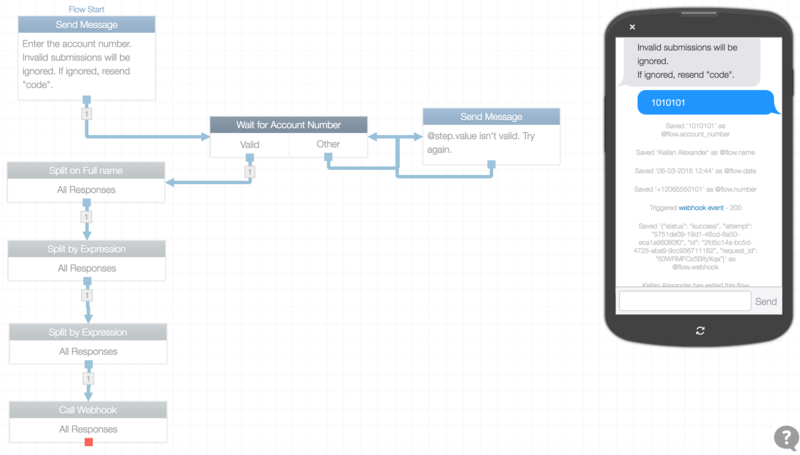 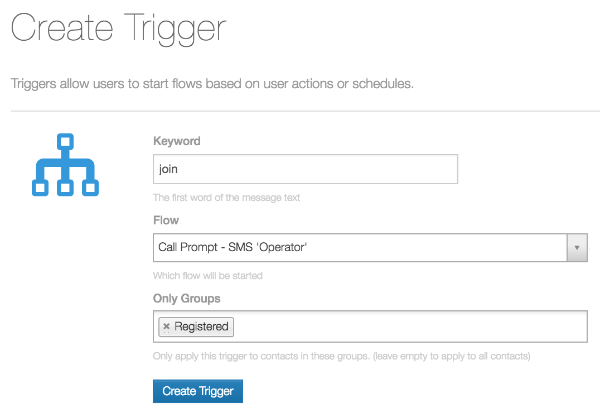 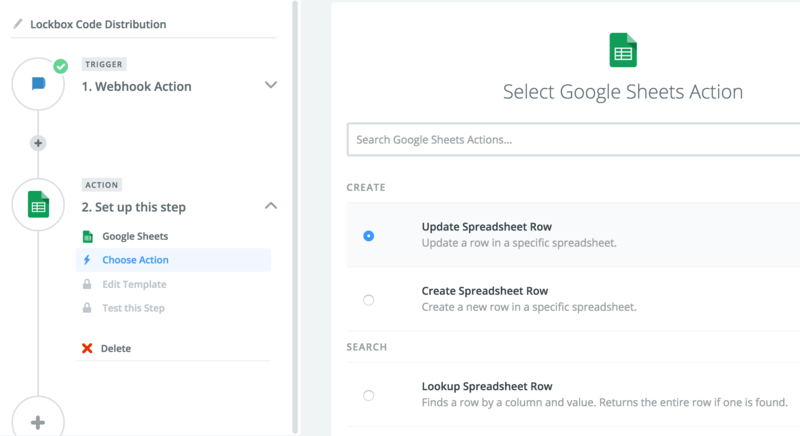 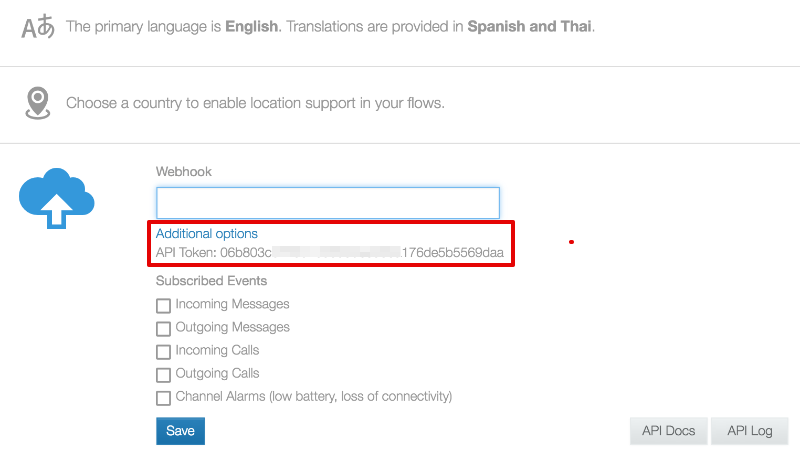 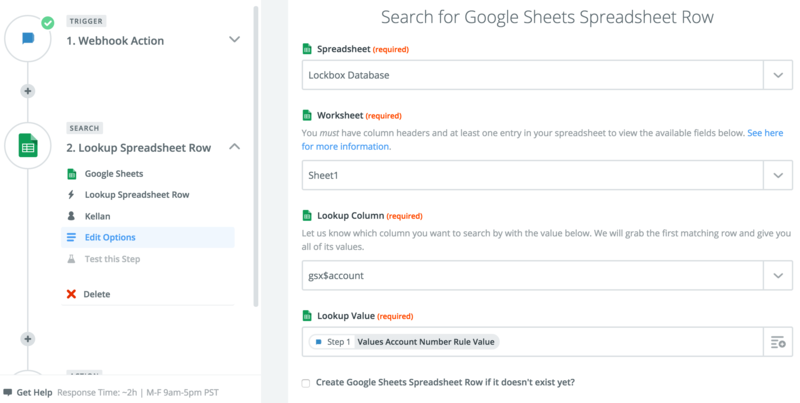 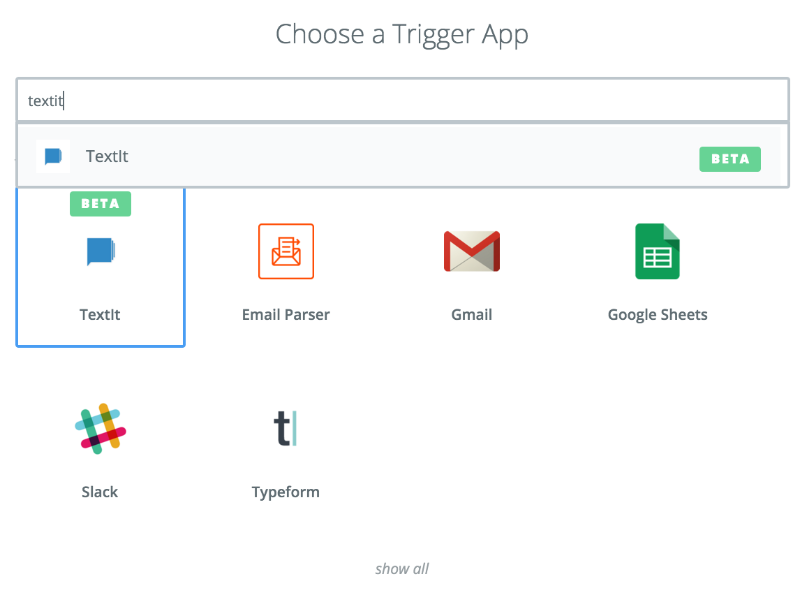 To learn how to start a flow via Zapier, click here.